TotalFinder is a universally acclaimed navigational companion for your Mac. Enhance your Mac's Finder with features so smart and convenient, you won't believe you ever lived without them. ・Tab-based interface - Say goodbye to scattered, disorganized Finder windows. TotalFinder merges everything into a workflow-friendly, tab-based layout. ・System-wide access - With TotalFinder, convenience is key: With the stroke of a hot-key, it's available instantly, system-wide. ・Helpful tweaks - TotalFinder's Folders on Top feature takes file organization to a new level. Just click the option in the Preferences menu and your much-needed folders will automatically be prioritized in every window. 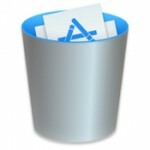 ・Reduce clutter - OS X's Finder has a bad habit of cluttering your system with hidden attribute files. TotalFinder emphasizes cleanliness, eliminating superfluous files and freeing up valuable storage space. [REMOVED] Disabled TotalFinder's Folders on Top feature on macOS 10.12, which now offers Folders on Top natively as an option in Finder's preferences. However, Finder's implementation only allows Folders on Top when sorting by Name, so we'll look to improve upon that.